Giacomo Design Watches would be great as corporate gifts, adding your logo to the back of the watch together with our company logo. We can also cooperate with stationery shops. 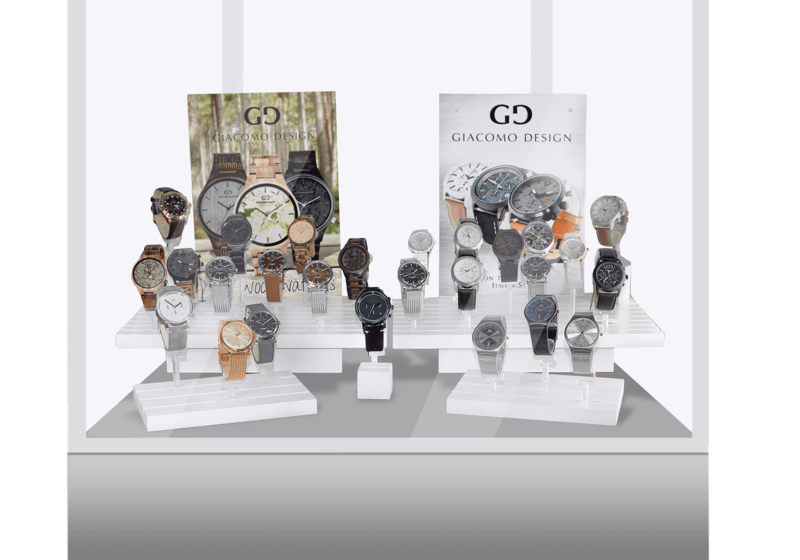 Our company offers displays for great expose of our watches.